A proper toilet is a necessary item in any home. You need one that is reliable, comfortable and that looks stylish. There’s nothing worse than having people over and discovering that your toilet is leaking, or waking up one morning to find that your toilet bowl is cracked. And although they may seem like a hefty investment, a proper, reliable toilet is one of the best things you can spend your money on. Which brings us to Kohler, one of the finest toilet manufacturers anywhere in the world. 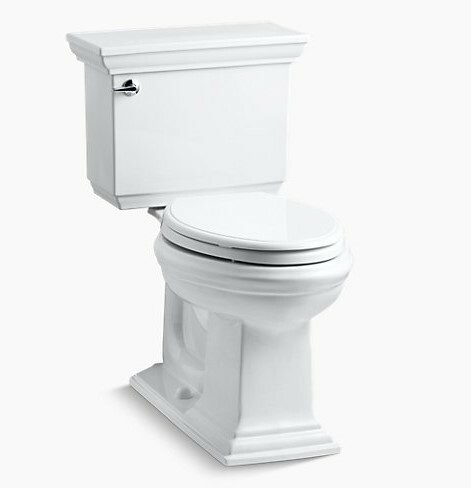 In this article, we’ll be reviewing one of Kohler’s finer products, and that is the Kohler K-3817-0 Memoirs toilet. We’re talking design, installation, features and everything in between, so if you’re thinking of which toilet to buy, stick around because this one’s for you. While Kohler didn’t really reinvent the whole toilet look on this one, but it’s safe to say this toilet has a traditional elegance to it. 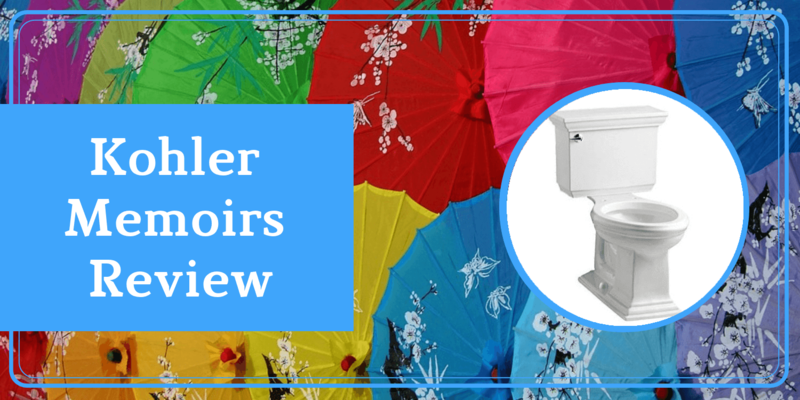 It comes in a number of different colours (White, Grey, Almond and even Black), so you can pick and choose the one that’ll suit your bathroom best. There are two things that should be noted about the Memoir’s design. The first thing to note is that it is Comfort Height, making it ADA compliant. This means it’s easier to climb on and off of, making it more convenient for elderly people and those with mobility issues to use. 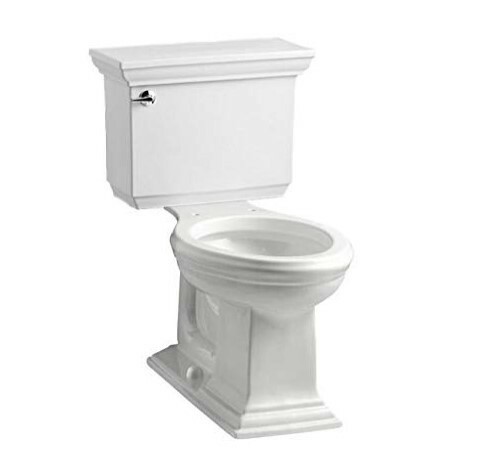 Furthermore, the toilet bowl is elongated, making it more comfortable to sit on. This toilet is pretty water efficient, using only 1.28 gallons of water per flush. 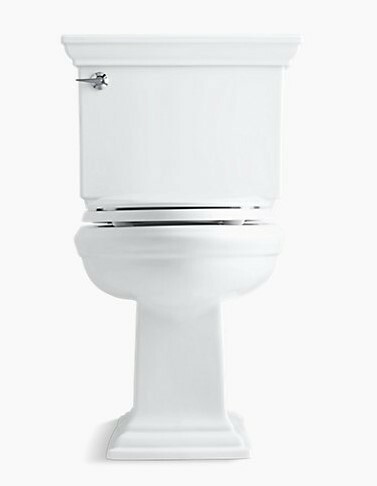 This is quite low compared to the more traditional 1.6 gallons per flush, making this toilet more water efficient and therefore more environmentally-sound, not to mention better for your wallet. To be fair, most modern toilet designs are leaning towards being more water-efficient without forgoing flushing power, which is the next feature we will discuss. Kohler has managed to reduce its toilets’ water consumption without having to compromise flushing power. Using Aquapiston technology, you are guaranteed a powerful flush that leaves no pipes clogged. When it comes to cleaning the toilet, many have mentioned that despite the flushing being powerful and dealing with anything in the water itself, the outline of the bowl isn’t always cleaned by the water, meaning you have to clean it yourself to avoid the buildup of an unsightly brownish layer on the inside of the bowl. This can be a bit of a hassle. Otherwise, clean it as you would do any other regular toilet. Installation of this unit is relatively simple, especially compared to other toilets. One thing to note is that this toilet is delivered in two boxes; one box holds the tank and the other includes the toilet itself. This might put off some of you who are more new to plumbing and installation, but for those who are more experienced, installing this unit should be no trouble at all. If you're a complete novice, I'd recommend getting a plumber or a friend to help you install this. When it comes to the price, this model can be a bit pricey compared to similar toilets. And like we said, while it might be a hefty investment, it’s always better to pay big once than pay little amounts and have an unreliable toilet. Elegant design: The toilet is elegant and classic. Can’t go wrong with those two. Variety of colors: The toilet comes in a variety of different colors, so you can pick and choose the one you prefer the most. Honestly, it’s not even that difficult a decision to make. 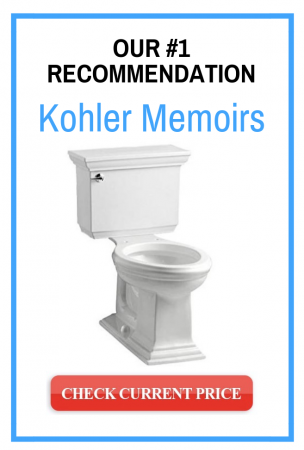 The Kohler K-3817-0 Memoirs toilet is just a fantastic investment that you won’t regret at all. Comfortable and stylish, the toilet combines elegance and functionality. While the price might put some off, there’s no doubt that you are getting what you par for in this toilet. There’s a reason that Kohler is one of the top toilet manufacturers in the world.